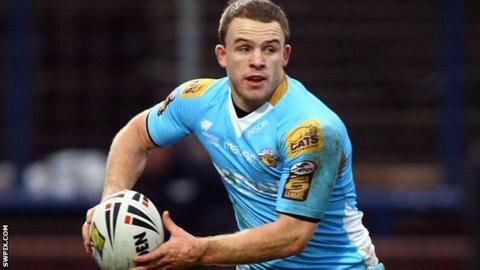 Wakefield Trinity Wildcats half-back Matty Wildie has signed a new one-year deal with the Super League club. The 23-year-old has made 28 Super League appearances so far for Richard Agar's side. He told BBC Radio Leeds: "I'm really happy because this is something I really wanted to get sorted. "I thought I proved myself in the games that I played last year, but it was difficult to get a run in the side with Paul Aiton playing so well." Wakefield have seen a number of players, including Aiton, Justin Poore and Ben Cockayne move on in recent weeks. "It's been difficult to see the players that have left the club, but it's out of the players' hands, we're just concentrating on the playing side," Wildie added. "This is a massive season for us [in 2014] and we'll be working hard to keep away from the relegation places."